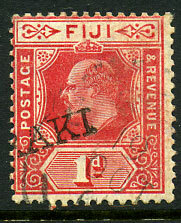 19 JUL 1915 on KGV 1d (SG.127) piece. 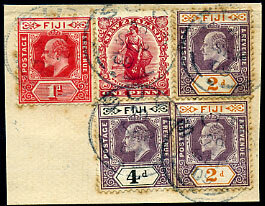 dated 29 SEP 09 on Fiji KE7 1d, 2d x 2, 4d and New Zealand 1d piece, stained perfs. 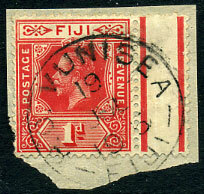 on pair KGV ½d (SG.126) with LEVUKA JU 16 1915 cds. 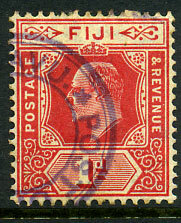 in purplish-black on KE7 1d (SG.119). 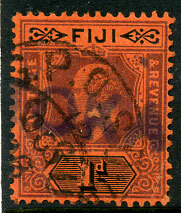 RAKI portion on KE7 1d (SG.119), part 19 OCT = cds. 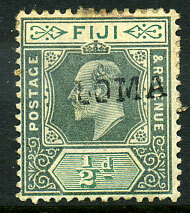 LOMA portion on KE7 ½d (SG.104). 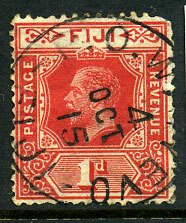 OKA portion in purple on KE7 1d (SG.116) with SUVA cds. 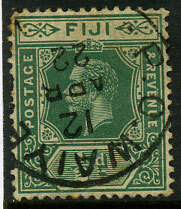 on KE7 1d (SG.116) with LEVUKA 27 MR 1905 cds. 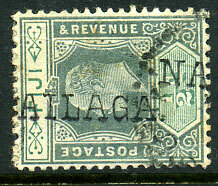 DAVAT portion on KGV 1d (SG.127a). 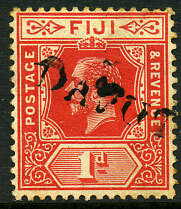 12 APR 22 on KGV ½d (SG.126b), toned perfs. 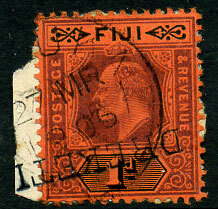 4 OCT 15 on KGV 1d (SG.127). Fault. 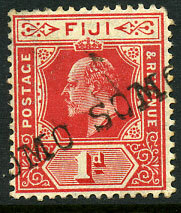 OMO SOMO portion on KE7 1d (SG.119). 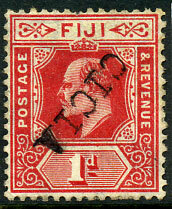 Minor fault. 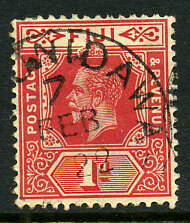 7 FEB 22 on KGV 1d (SG.127a).